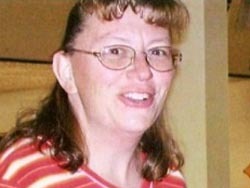 One year later, a Taylor County woman&apos;s murder remains unsolved. Two fishermen found Jean Viken shot to death in rural Sawyer County last May. Sister Jane Hempel says the family will hold a public memorial Sunday in her honor this Mother&apos;s Day, a day before the one year anniversary. Viken was the mother of four children and would have turned 40 on Sunday. Hempel says they&apos;ll remember Viken with songs, a poem reading and a balloon release at Grahl Park in Medford. She calls it a celebration for Jean&apos;s life. Police have not solved the murder yet, but do have several people of interest in the case. Taylor County Sheriff Bruce Daniels says the investigation is ongoing. Viken disappeared in late January 2008 and was found shot to death about four months later.